It’s not enough to create a high-quality website full of excellent content for visitors to peruse. A website requires constant maintenance in order to ensure that it is working as it should at all times. Otherwise, you risk losing visitors and having your professionalism called into question. This is the easiest maintenance task that you can do, but it’s one that is often overlooked. Go through your website and make sure that your address, phone number, email(s), and hours of operation (if applicable) are all current. You should also keep product and service information up to date, including any prices that have changed or products or promotions that you no longer offer. There’s nothing more frustrating then being convinced to click on a link only to have that link not work. A broken or incorrect link will not only annoy your visitors, it will also reflect poorly on your company as a whole. Plus, broken link can hurt your search engine ranking since Google’s algorithm certainly takes them into account. Make sure that your contact forms are working as they’re supposed to be. If you’ve started to notice a significant drop in conversions or mailing list subscribers, check your contact forms immediately—it could be because visitors are unable to access or fill out your contact forms. If you’re an e-commerce business (or have any purchasing features on your website), you should make sure that the checkout process is working without any hiccups. If a customer is trying to make a purchase and there’s a glitch in your checkout process, then you’re going to lose that sale. You need to make sure the checkout process not only works but that it is a painless process for your customers. If you accidentally erase something, it could cause your website to malfunction. People have spent countless amounts of time, money, and effort trying to recover from mistakes that they have made because they didn’t have backup files to restore. This is less of a problem if you have your website maintained by a professional web agency, since they already know to create backups and are experienced and knowledgeable enough to be able to recover from mistakes quickly. Core and plugin updates are constantly being released in order to make websites run more efficiently and to help make them more secure. Many updates provide fixes and patches to security bugs. 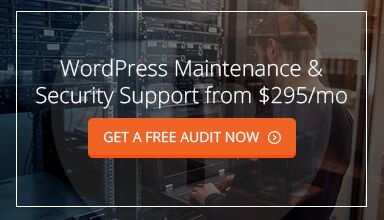 If your site is built on a content management system like WordPress or Drupal, you’ll want to update your software often to make sure your website is less susceptible to hackers. Google Webmaster Tools will help you to improve how Google searches and indexes your website, reducing the time it takes for your webpages to be ranked. It will also provide you with information about the health of your website. Basically, you’ll need to submit a sitemap and Google will do the rest. You’ll be provided with data on how your website looks to Google, including any crawl errors, issues with the HTML code, malware, and more. Website maintenance is just as important as your site’s initial launch. Because these tasks are somewhat involved and need to be done regularly, might be a good idea to hire a professional web developer to perform them for you. For information on how NPG can help you with your website design as well as website maintenance, be sure to contact us today.